Don’t Loose Your Oink Social Posts, Move them! There are so many options to share with friends via your iPhone… your photos, where your at, and what you liked or didn’t like. How do you decide which systems to become part of their community? Is it because of where your friends are? Maybe you choose one because of who the creator of the service is. Not all of those systems will be around forever. Even blogging systems come and go. If you put things into a system and it closes one day, all that history and effort may be lost forever. 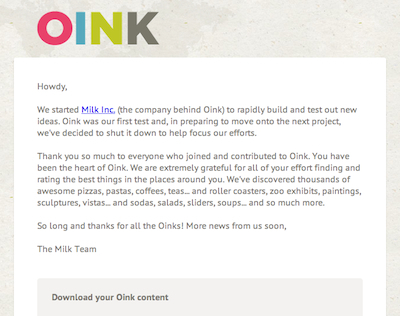 Most of us where surprised to hear the group at Milk chose a different life path and closed down their social share service Oink. 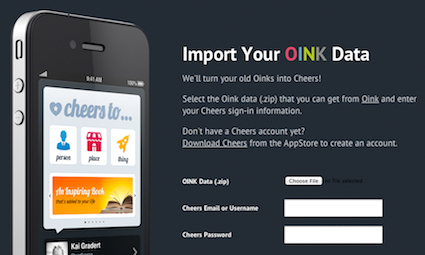 Unlike many services, the team that ran Oink are providing a method to download your posts. Then what? It’s a bunch of data in a file… do you copy/paste that data into another service? Get over there now if you have any interest of in keeping your data as the whole service shuts down March 31st. Actually, the folks that run the service ‘Chee.rs‘ is proving a method to download/install your Oink account data. 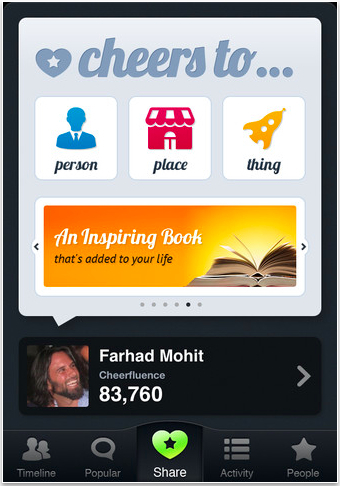 This of course means that you want to use chee.rs as your new social sharing service on your iPhone. There are many similarities between the two apps. Both services are about sharing what is good which includes actual meal dishes and people rather than an overall location. Also similar is the building of recognition for the quality of sharing. My interest is on the photo side, yes chee.rs provides a method to nab a shot of what I’m cheering about.